Orlacos flexible and reliable camera systems provide a complete overview of the position of the forks, the load and the surrounding area. This makes it easier and faster for the forklift operator to manoeuver and utilise all available storage space. Orlaco camera systems give the forklift operator a clear view in front of, behind and, equally as important, above the forklift. 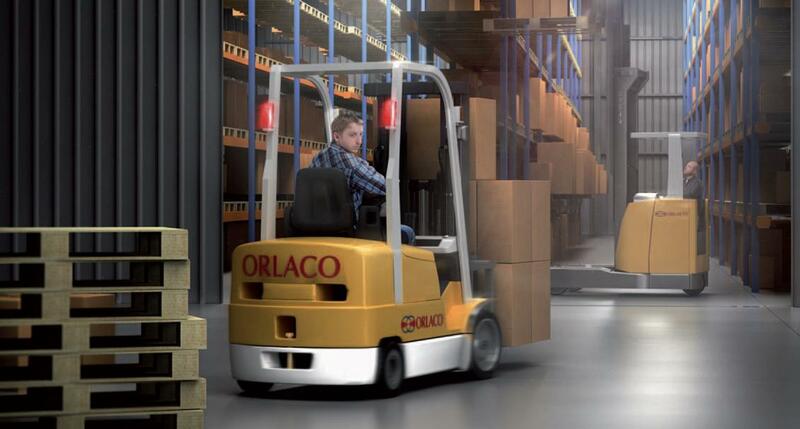 Orlaco camera and monitoring system for forklifts quickly provide the operator with greater visibility of everything taking place around the forklift, thereby minimising the risk of damage to goods and equipment as well as worker injuries.